Ron Artest – Let’s Do It! 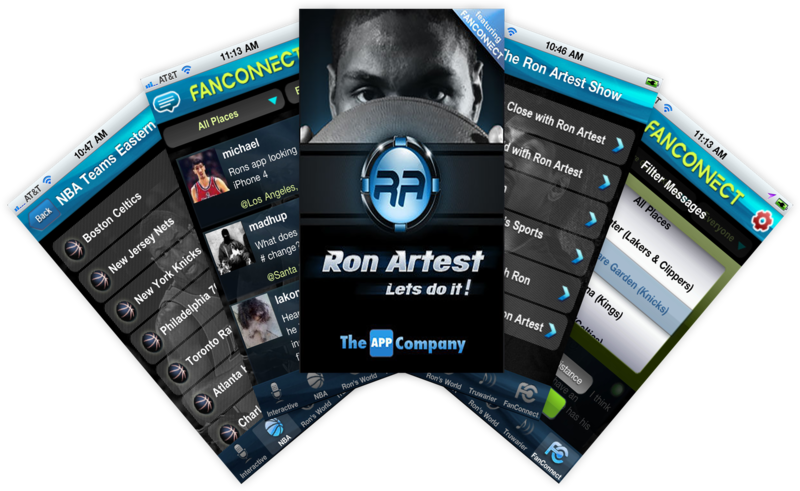 This is the one and only Official Ron Artest App for iOS. FanConnect is the first service to incorporate Patent Pending “Venue-based” chat. When you’re at the Staples Center watching the Lakers play, turn on the App and chat with other fans at the game. When you’re at home in your living room, you can follow the conversation and even interact directly with fans at the game. All 30 NBA arenas are included in the App, so you can follow Ron on the road or discuss games with fans of other teams. You can also tap into fans and conversations at any and every NBA arena in real-time.